Styled with calvin sweater and westin skirt . Minimal and menswear inspired, the Jerome applies impeccable tailoring to a timeless silhouette. 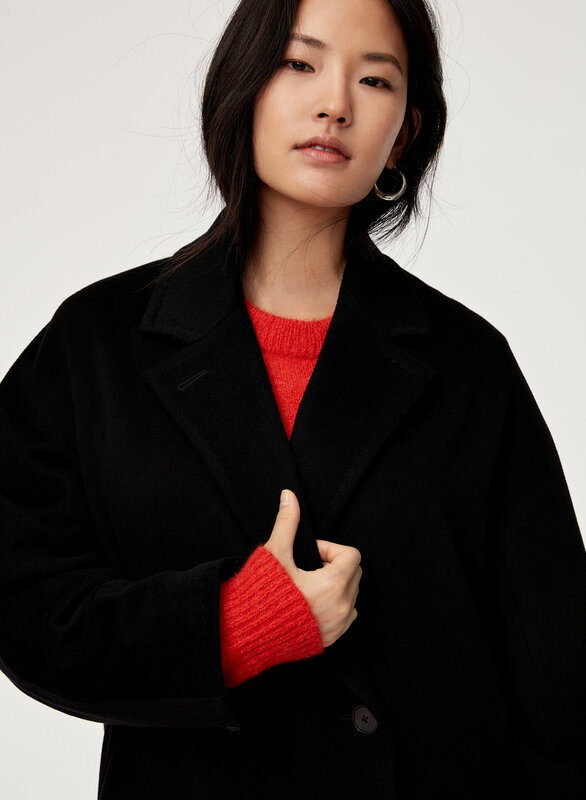 Crafted from 100% Italian wool with a textured finish, it has an intentionally oversized fit for easy layering. 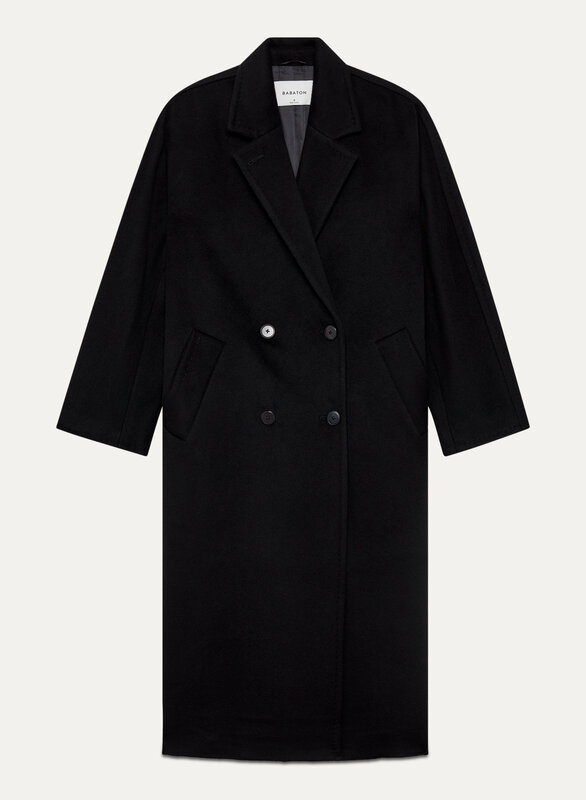 The double-breasted style, faux horn buttons and welt pocketing round out this classic piece. Great design and quality. 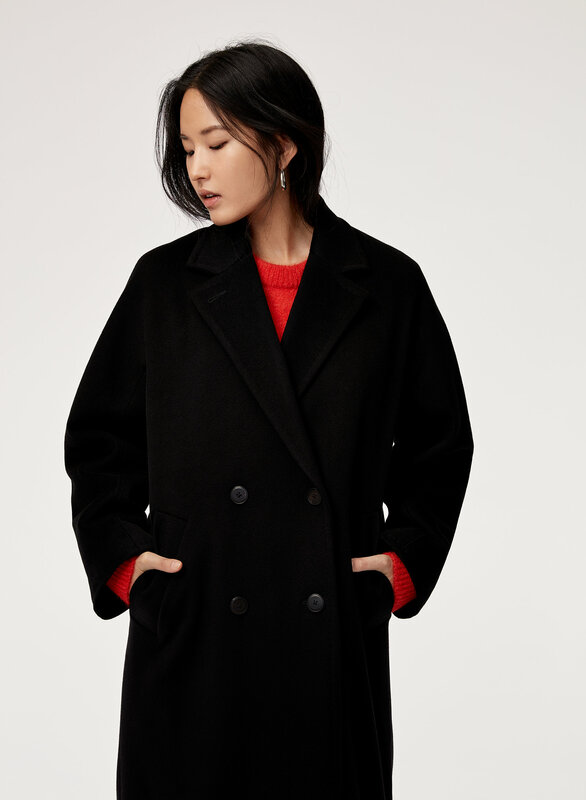 I only wear natural fabrics and I had to get this coat. Good quality and unique, natural fabric. 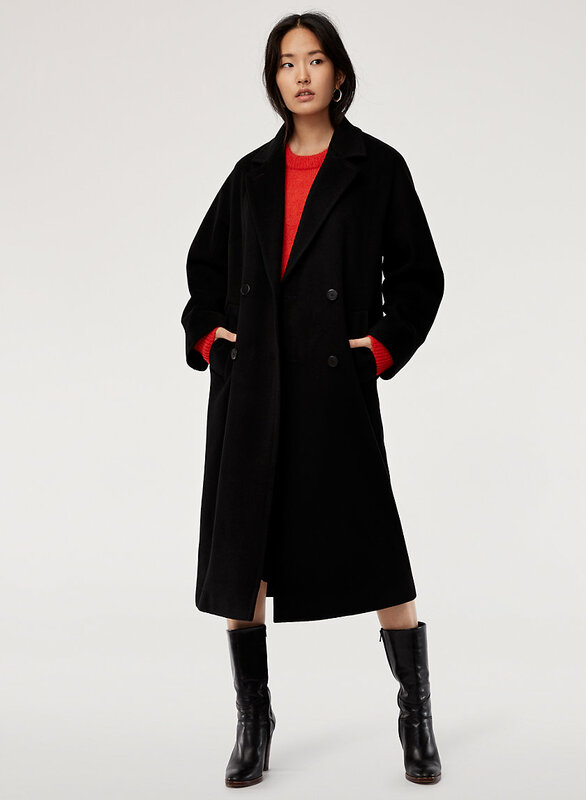 I've been looking for oversized coats and this was perfect. Glad to have it price matched on Black Friday. The item is the one u never want to miss it! Love the style, warmth and high quality.